If you need inspection, repair or replacement parts for your existing garage door or if you are in the market for a complete overhaul and new installation to replace your existing garage door, contact the knowledgeable professionals at AAA Garage Doors today. Our qualified and experienced technicians are available to inspect, troubleshoot, repair and replace all of the components of your residential garage door and garage door openers including damaged panels and springs, garage door re-alignment and balancing, door sensors, installation, repair or replacement of your garage door openers, cable, hinge and roller replacement and much more! 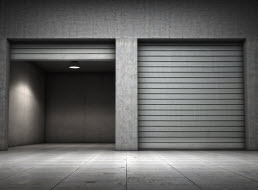 When your garage door is operating correctly and properly aligned, it will not only operate more efficiently it will also ensure that the lifespan of your door opener will not be prematurely compromised. Our technicians will also inspect the structural integrity of your garage door to ensure that it is operating correctly. Our qualified technicians will inspect your door sensors to ensure that they are correctly aligned to keep them opening and closing safely. If you door springs are distressed or damaged they have the potential to fail and as such require immediate inspection and replacement. At AAA Garage doors our technicians recommend replacing both springs at the same time to ensure that your garage door opens and closes efficiently under an evenly distributed load to eliminate the need for premature replacement. We proudly inspect, troubleshoot, maintain, repair and replace all makes and models of garage door openers. 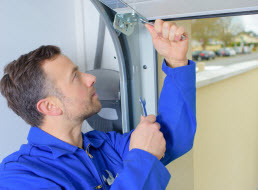 Our experienced technicians will inspect your garage door for damage, lubricate moving components, re-balance and adjust the springs, tighten bolts and screws, re-align sensors and any other areas which require attention as needed. 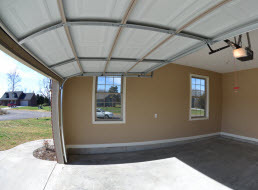 We can replace damaged panels to ensure that your garage doors structural integrity is intact along with ensuring that your opener is kept safe from unnecessary wear and tear caused by panels that are broken or warped. Our highly skilled technicians will replace your worn rollers, cables and hinges to reduce the amount of stress on your garage door opener. Replacing damaged cables will allow your door to operate correctly and extend the life of your opener. We can install all makes and models of residential garage doors in Knoxville and the surrounding areas. We have a wide range of doors available to compliment any style home and budget including Amarr, CHI and Safeway. Our customers all agree that our garage door installation service is the best in the area. 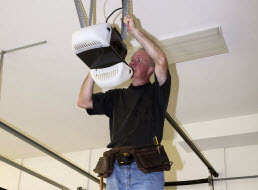 Whether you are in the market for a new garage door opener or if you require repair services for your old one, the knowledgeable experts at AAA Garage Doors are available to assist you. Our trained technicians will inspect your opener before either repairing the old one or installing a new one always advising you on the most cost effective option available. We will also make sure that your garage door is working correctly before we leave along with advising you of our comprehensive maintenance plans designed to extend the lifetime of your opener and your continued satisfaction.